On 14 June 2017 the Australian Law Reform Commission’s report, Elder Abuse – A National Response was tabled in the Australian Parliament. The report stated that there was evidence that in a significant minority of cases financial elder abuse was facilitated through misuse of a power of attorney. The report recommended the adoption of nationally consistent safeguards that seek to minimise the risk of abuse of an enduring document. However, proper safeguards could reduce the risk of elder abuse generally, not just with powers of attorney and not just with lawyers. With that objective in mind, and relying heavily on court decisions concerning lawyers, I’ve come up with these suggestions for setting up every meeting, especially with an elderly person. Instructions should be taken from the aged person and not that person’s (real or supposed) ‘delegate’. Legal Profession Conduct Commissioner –v- Brook  SASCFC 128 concerned a legal practitioner who took instructions to prepare a will for an aged person. The instructions were taken from the aged person’s daughter. The aged person was 86 years of age and resident in a nursing home. At no time did the legal practitioner meet with, or speak to, the aged person to satisfy himself that he was preparing a will in accordance with her wishes and that she had testamentary capacity. The judge said that that “was a wholly inadequate way in which to take instructions”. the practitioner should directly address the question as to whether the aged person has mental capacity and free volition. The aged person should be interviewed alone (or, at worst, with a support person who has no interest in the outcome of the interview). Any person who could potentially benefit from the matters discussed should not be within sight or hearing. In Woodley-Page –v- Simmons (1987) 217 ALR 25, Young J said that that was “the standard practice in making will” and added “The reason is obvious, because unless the testator is seen alone the solicitor is just not able to be sure that he is not being influenced by the friend to make the will in that way”. Another reason is that close involvement in preparation of a will or power of attorney from one who benefits thereby, or may do so, can arouse suspicion as to the testator’s appreciation and approval of the contents of the will. In Brown v Guss  VSC 251 the judge said that it was “unfathomable” that the solicitor “was unable to see that his position as solicitor taking instructions for a new and elderly client was compromised by allowing [a beneficiary] to be present at the meeting” when instructions for the will were taken. It is also important for the adviser to ensure that he or she acts for only the one client. Whilst these comments were made about lawyers and legal transactions, it would seem to be good general practice for all professionals to see an aged person alone and certainly not with someone who could influence their decision. There needs to be sufficient time to enable an assessment of the aged person’s understanding of the issues discussed at the meeting. An instance of inadequate time occurred in the case of Dickman –v- Holley; in the estate of Simpson  NSWSC 18. A solicitor spoke with the 96 year old woman for approximately 10 minutes. Of these 10 minutes, they were alone for about 5 minutes. Only while they were alone did he discuss her wishes. During the five minutes the solicitor obtained instructions for a will and power of attorney. It is little wonder that they were both set aside. 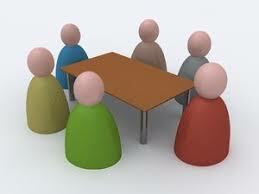 The meeting needs to occur in a place where it is appropriate to discuss the relevant issues. This is unlikely to be a café, supermarket, newsagent, pharmacy or any other place which doesn’t offer a quiet and confidential space. This may duplicate the requirement to ensure an appropriate meeting place, but it is important to ensure that the environment in which the meeting is held allows the aged person to take in what he or she is told. This may mean that babies, toddlers, mobile phones and other distractions are removed. The report is available at https://www.alrc.gov.au/publications/elder-abuse-report, accessed 15 July 2017. See Anastasia Pates v Diane Craig and The Public Trustee Estate of The Late Joyce Jean Cole  NSWSC 87, F, . As to a difficulty caused by the existence of “too many intermediaries”, see Re Estate of Anne Margaret Kent (dec); ex parte Bonker  WASC 239, . See Petrovski v Nasev; The Estate of Janakievska  NSWSC 1275,  – ; Dellios –v- Dellios  NSWSC 868, ; Estate of Stanley William Church  NSWSC 1489,  where instructions were taken by telephone – which is not advisable; Smith –v- O’Neil  NSWSC 1924, . Barakett v Barakett  NSWSC 1257, . (1987) 217 ALR 25, . Nock –v- Austin  HCA 73, (1918) 25 CLR 519, 528; Barry v Butlin  EngR 1056; 2 Moo PCC 480; Fulton v Andrew LR 7 HL 448; Low v Guthrie  AC 278, 284. VSC 251, . Other authority to this effect are Johnson v Buttress  HCA 41; (1936) 56 CLR 113; Archer –v- Archer  NSWCA 314, ; Dellios –v- Dellios  NSWSC 868, , ; Estate of Stanley William Church  NSWSC 1489, ; Mace –v- Mace  NSWSC 1659. This didn’t occur in Courtney v Powell  NSWSC 460 but that was an unusual situation where the benefitted party was trying to use her influence to talk the party providing the benefit out of doing so. Bridgewater v Leahy  HCA 66; 194 CLR 457; 158 ALR 66; 72 ALJR 1525, ; Turner v Windever  NSWCA 73; Vertzayias –v- King  NSWCA 215; Matouk –v- Matouk (No 2)  NSWSC 748. Badman –v- Drake  NSWSC 1366, Maestrale v Aspite  NSWSC 1420, ; Matouk –v- Matouk (No 2)  NSWSC 748; Ryan –v- Dalton; Estate of Ryan  NSWSC 1007. Evolution Lifestyles Pty Ltd v Clarke (No 3)  NSWSC 1237, . Darryl Browne is the principal of BROWNE. Linkenbagh Legal Services. He is an Accredited Specialist in Wills and Estates. He is the Chair of the Law Society’s Ethics Committee. He has been a member (2010- 2014, 2016), Chair (2014) and Deputy Chair (2016) of the Elder Law and Succession Committee. He is a Councillor of the Law Society, a member of the Specialist Accreditation Board and the Society’s Property Law Committee, Criminal Law Committee, Disclosure Committee and Fidelity Fund Management Committee. He is a member of the Law Council of Australia’s Elder Law and Succession Committee. He is a member of the Legal Aid Commission Board, the University of Sydney’s Law Extension Committee and the NSW government’s Steering Committee on elder abuse. He writes bi-monthly Case Notes on wills and estates for LSJ and occasional articles for that and other journals. He facilitates the Law Society’s online Wills and Probate Procedures for Solicitors. He designed and presents the Masterclass on Powers of Attorney. He is a member of STEP and SMSF Association. The opinions expressed in this article are his own.